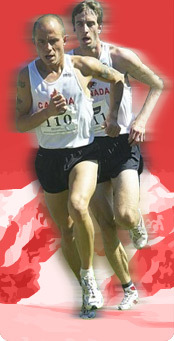 The 2011 Canadian Mountain Running Championships will be hosted in Canmore, Alberta on July 9th, 2011. This is the third and final year the event will be held in partnership with the Canmore Challenge at the Canmore Nordic Centre. The race will be an up-and-down course over the following approximate distances: senior men - 12km; senior women and junior men - 8km; and junior women - 4km. The Canadian Mountain Running Championships will serve as the qualifying race for the 27th World Mountain Running Championships in Tirana, Albania on September 11th, 2011 and the 2nd Commonwealth Mountain Running Championships in Snowden - Gwynedd, GBR on September 23rd - 25th, 2011.